We are a unique entity in the industry, actively committed towards manufacturing an optimum quality range of Milling Head. 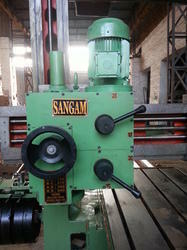 We are engaged in manufacturing and supplying Milling Head, which is suitably used for various planners. These are manufactured using quality cast iron, which ensures optimum performance. Further, our Milling Head are appreciated for good shock absorbing capacity. 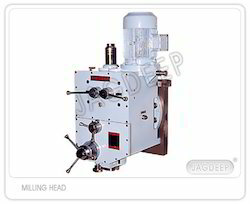 The technical specification of the Milling Head with different model numbers. For example, the need to hate the price sit in the refrigerator. Gluten. Mill Trunnion Head & Mill Trunnion ENds for Rod Mill, Sag Mill, AG Mill, Ball Mills, Mill Head, Discharge Head with Bearing Assembly For Ball Mill Cement Plant. Modular Milling Heads ISO-30, ISO-40, ISO-50 offered comprise precision manufactured modular milling heads that are developed as per customer's given specifications and are widely used in different kinds of planners.